There are currently 32 users and 1586 guests online. Was that in the bay or around the cape Harro? We are down for 2 weeks and looking at getting out Wednesday onwards after doing the family visits tomorrow and Tuesday. By the way..... well done. Good work Harro. You always kill the pig around this time of the year. Good to see Mark with a couple of good fish on what must be a tough time. 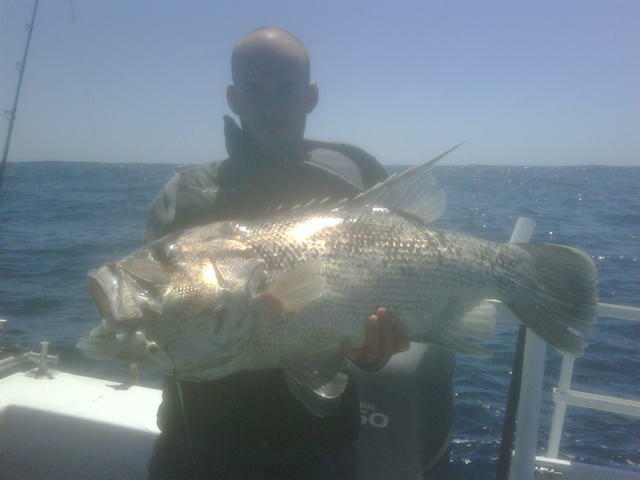 Thinking of going out on Thursday and giving the 100-120m a go for some red and pink snapper. Ooh doing well down there Harro! Well done Harro and crew, some quality table fish there on the jig. top stuff, I've tried a few of those white jigs but no luck with them yet. Looks like they produced pretty well for you and a good score with the weather too.